Chennai, April 21 (IANS) Tamil actor Prasanna Venkatesan, who has been only doing multi-starrer Tamil films since 2009, says even though he enjoys doing these projects, he wants to do a solo hero movie. He has gone solo in Tamil romantic-comedy "Kalyana Samayal Saadham" (KSS), his next release, and now he wants to do at least a couple of more such projects. successful, I feel it's time for me to do solo projects. I want to avoid these films (multi-starrers) for some time and concentrate on doing at least two solo projects," Prasanna told IANS. His last solo project was 2009 critically acclaimed Tamil thriller "Achchamundu Achchamundu", directed by Arun Vaidyanathan. In the last four years, he joined the ensemble cast of multi-starrer Tamil films such as "Naanayam", "Baana Kathadi", "Muran" and "Chennaiyil Oru Naal". 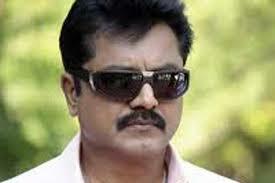 His upcoming two releases "Netru Indru" in Tamil and "Bhai" in Telugu are also multi-starrers. "It's been a great learning experience sharing screen space with multiple actors in the same film. I wouldn't have done these films if I hadn't got an opportunity to perform. I essayed roles with different shades in these films and I thoroughly enjoyed it.